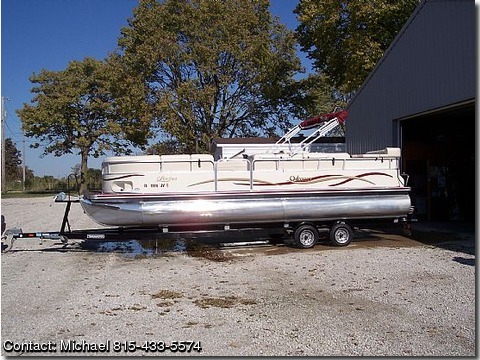 Fully loaded, Sink, Depth Finder, Porti-potty,Aftermarket Stereo System with four Alpine 6 1/2" speakers, five channel amp, two 10" subwoofers, and XM Satellite Receiver, Stainless Steel Grill (still in plastic, never used), Captain Driver's Seat, Tilt steering wheel, and too many more things to list. Call Mike for more info. 815 712-5935 Thanks for looking!